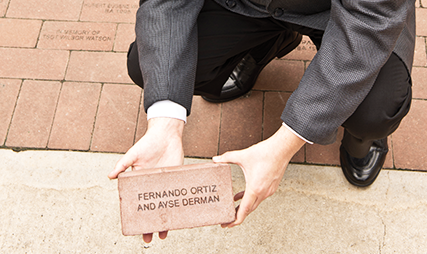 Sombrilla, a magazine published by the University of Texas at San Antonio, recently highlighted a variety of ways alumni may contribute to Pave the Paseo, a fundraising initiative in which alumni pay to have their names engraved on bricks, which are then added to a popular campus walkway. I proudly participated. Check out Michelle Mondo’s wonderful story, “Leave Your Mark,” which you may read here.